When jurors ask witnesses questions: double-edged sword | Jon Katz, P.C. Jurors have awesome power. (Photo from website of U.S. District Court (W.D. Mi.)). During the ongoing Lewis "Scooter" Libby Bush-Cheney-Plame-gate trial, federal trial Judge Reggie Walton is receiving and asking questions from jurors to ask the witnesses. For instance, as requested by one or more jurors, Judge Walton asked vice president Cheney’s former press chief Cathie Martin why she did not stand up to a request to reveal to the press potentially classified information to back up Bush’s claim in support of starting a Gulf War II that Iraq was attempting to obtain nuclear material. Ms. Martin apparently testified that this request came from none other than vice president Cheney, "so I didn’t know where I was going to go." The CNN online report on the trial says Ms. Martin testified that she "learned that Bush had declassified those portions of the report." However, did she learn about this declassification before or after revealing this information to the press, and did Bush declassify this information for anything other than self-serving reasons? In federal criminal trials, judges have substantial discretion about the extent to which they will permit or prohibit juror-prompted questions of witnesses. DeBenedetto v. Goodyear Tire & Rubber Co., 754 F.2d 512, 515 (4th Cir. 1985) (the parties were not prejudiced by the 95 juror-prompted questions — half of them coming from the jury foreperson — but "such juror questioning is a course fraught with peril for the trial court"); U.S. v. Collins, 226 F.3d 457, 461-65 (6th Cir. 2000), cert. denied sub nom Ward v. U.S., 531 U.S. 1099 (2001) (addressing the potential prejudice and benefits of juror questions in such terms as complexity of the case and prophylactic measures taken against the risk of prejudice). Juror-initiated questions indeed can be double-edged swords. I think they should only be allowed if the criminal defendant agrees for them to be submitted at all. When judges allow the submission of proposed juror questions, they should be carefully screened by the judge, and should not be asked absent full consultation with the parties. The questions should only be asked by the judge, so as not to give the jury an impression of the extent to which the defendant favors or disfavors or fears the questions. Unfortunately, if a party successfully objects to the asking of a juror-proposed question, this can open up a can of worms with the jury that can spill into the jury deliberation room and that can become the subject of juror questions to the judge during deliberations. If the parties do not object to the juror-proposed question for fear of earning the jury’s wrath, then a Pandora’s box may be opened for the opponent to ask a slew of prejudicial and damaging questions, to which any objection might be met with a particularly jaundiced eye from jurors. 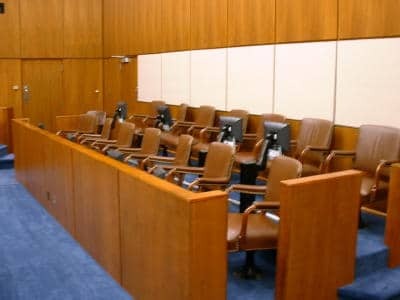 What if a juror proposes a question to be directed to the defendant, who has the absolute right to remain silent, and not to have that silence mentioned at all to the jury? If the judge tells the jury it can propose questions for any witness, but not for the defendant, that just highlights that the defendant is playing by a different set of rules, perhaps unfairly, in jurors’ minds. Pandora can play dirty and devastatingly harmful tricks. In a recent rather low-risk Maryland jury trial (a Circuit Court jury re-trial on a driving while impaired charge after a District Court bench trial’s guilty finding of the lesser DUI charge (with a maximum penalty of no more than four months in jail)), the judge allowed jury questions. In part due to my client’s low exposure to an adverse outcome from jury questions, and his low sentencing exposure, and after weighing the risks and benefits of this approach, I did not object to permitting submission of juror questions, in that jurors can sometimes stew more — to the defendant’s detriment — over a question not asked than a question asked. Only about three or four questions were submitted by jurors. All but two were innocuous questions. Of the remaining two questions, one of them was a good one, which I was going to bring out through a defense witness anyway (that I was speaking Spanish — not English — to my client, so the interpreter’s presence was not meant unfairly to beef up our argument that the police officer’s exclusively communicating with our client in English amounted to a serious detriment to the prosecutor’s proving the case beyond a reasonable doubt). Another juror asked a potentially prejudicial question about my client’s background that had nothing to do with the trial, and the judge did a good job at likeably informing the jury that it would need to decide the case only based on the evidence presented at trial (which still may have begged the question to the jury about why this proposed question was not answered in order to elicit such evidence). The jury returned with half a loaf for our client, by finding him guilty of DWI (carrying a sixty-day maximum penalty) and not to have knowingly refused the breath test (carrying another sixty-day maximum penalty, and perhaps underscoring that the jury accepted our arguments about the language barrier and/or about the officer’s zeal to have our client sign a refusal to take the breath test before he even arrived at the police station). The Circuit Court judge gave our client no worse a sentence than in District Court, which made worthwhile the risk of a retrial before a jury. I think this whole state of affairs highlights the importance, benefit and justice of permitting lawyer-directed jury selection/voir dire. The lawyer-directed voir dire process at least enables jurors to talk to the parties — through the parties’ attorneys — without going as far as to let jurors indirectly question witnesses. Jon Katz. Having finished court early on February 1, I visited the overflow large-screen video viewing room for some of Scooter Libby’s trial at the nearby federal court. I did not catch any testimony, but instead watched arguments over the admissibility of statements to the press by former White House press secretary Scott McClennan, as part of the prosecution’s efforts to counter Libby’s contention that some of the president’s people were trying to make him a scapegoat, or “throw him under the bus” as his lawyer phrased it. During that brief forty-five minutes, I experienced nothing earth-shattering. The lead lawyers looked competent; the prosecutor looked like he had some ants in his pants at some points in addressing the judge — and it was not in reaction to the judge’s giving him a hard time, because the judge was not doing that — but I have no basis of comparison to his demeanor during the rest of this case or elsewhere. In any event, the goal of winning a case is persuasion; so long as occasional ants in the pants do not interfere with persuasion, then it is not an issue. Mr. Libby has lawyers from several large corporate law firms defending him, according to the case docket. Unless his lawyers are working pro bono or low bono, his legal bill is huge and mounting. Hourly rates of partners at such law firms often are at $500 or more. Sometimes less is more; this case does not seem to be complex enough to require so many people at the defense table. Even with his more complex case, O.J. Simpson probably won his criminal murder trial despite having had so many lawyers rather than because of it. In any event, even though I am far from fond of the Bush Administration, I am rooting for Libby to win. This prosecution focuses on his alleged lies about when he learned Valerie Plame was a CIA agent. In any event, as much as I want Bush out of office, I will be more than happy to see Mr. Libby acquitted. His indictment accuses him of lying to law enforcement and the grand jury investigating how and when Valerie Plame’s CIA employment status got leaked to the press. I have uploaded the indictment here. So long as the criminal justice system remains as unjust as it has long been, it will be difficult for me to want to see convictions for such alleged crimes. Even if I conclude that Mr. Libby did tell any or all such lies, I still will feel the same. In any event, it is curious that Mr. Libby decided to testify before the grand jury. All court witnesses have the option to take the Fifth Amendment, unless their testimony is fully immunized. Similarly, he had no obligation to talk with law enforcement. In any event, what is done is done. Back to the ongoing Libby trial, for anybody wishing to attend, it is on the sixth floor of the District of Columbia federal courthouse. Camera phones must be checked at the entrance (which is better than the Alexandria federal courthouse, which prohibits all cellphones and palm pilots). The security people tell visitors to remove everything from their pockets before entering a bizarre pod-like area, where they must raise up their hands to be body-scanned. (I have not asked if the scanner leaves any of one’s anatomy to the imagination; the security personnel claim the scanner is safe and emits no x-rays, but then again, some doctors in the 1950’s claimed health benefits of tobacco). The trial may be viewed in the trial courtroom or in the adjacent overflow viewing room that has a big-screen four-view monitor. People may not enter or exit the main courtroom when proceedings are taking place. I was unable to get a seat in the main courtroom — although I visited the main courtroom during a break — because all but two rows had "reserved" or press signs there. However, an employee of the court told me in the hallway that she would try to assure that people knew that five rows were available to the public. The only reporter I recognized was NPR’s Nina Totenberg. Meanwhile, here is Valerie Plame’s and Joseph Wilson’s federal civil Complaint against Libby, Rove and Cheney.